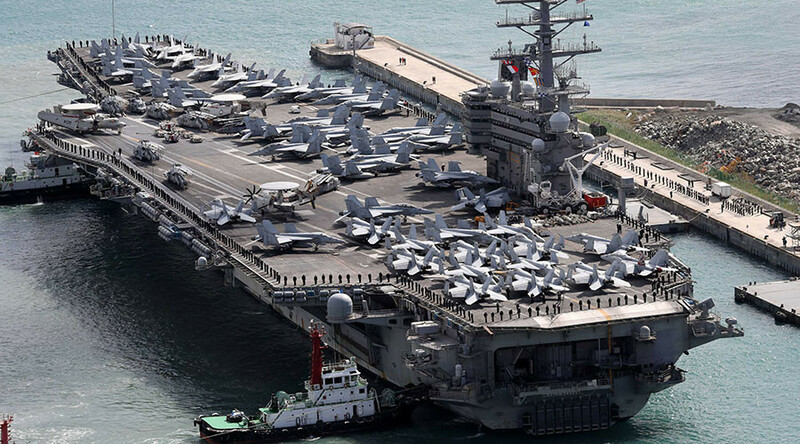 The nuclear-powered warship USS ‘Ronald Reagan’ has arrived in the South Korean port of Busan after joint drills, the US Navy said. Earlier Pyongyang described it as “a demonstration of the real strike” upon the North. 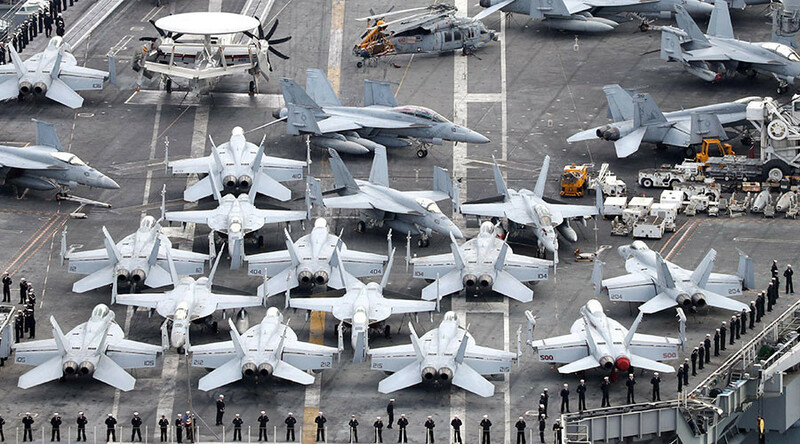 The Ronald Reagan Carrier Strike Group which also included Destroyer Squadron (DESRON), Carrier Air Wing (CVW) and the guided-missile destroyers USS ‘Stethem’ and USS ‘Chafee’ docked in the port of Busan on Saturday, the US Pacific Fleet said in a statement. The group took part in Maritime Counter Special Operations Force Exercise (MCSOFEX) that kicked off October 15 and ended this Friday. The massive exercises involved fighter jets, helicopters and naval ships and submarines from both countries. “The focus of the bilateral training exercise was to increase the readiness of US and Republic of Korea [ROK] forces and maintain stability on the Korean Peninsula,” the US Pacific Fleet added. The city’s residents, however, were not all positive about the warship’s arrival. A large sign saying “US troops go home” greeted the strike group on its arrival in Busan, according to the US military’s newspaper, Stars and Stripes. “I’m scared about this; I don’t like war,” Jeong Jun-ho, 15, told the paper after seeing the ship dock. The Nimitz-class supercarrier USS ‘Ronald Reagan’, which weighs over 100,000 tons, is based at Yokosuka Naval Base in Japan. “The US should expect that it would face unimaginable strike at an unimaginable time,” a spokesman from the Pan-Korean emergency measure committee for opposing nuclear war drills said, as cited by the state-run Korean Central News Agency (KCNA) on Wednesday. In the meantime, Washington and Seoul are to hold another military exercise starting October 23. The annual Courageous Channel drills are to last five days to prepare “service members and their families to respond to a wide range of crisis management events such as non-combatant evacuation (NEO) and natural or manmade disasters,” according to US Forces Korea (USFK). Russia and China have been long promoting a “double-freeze” plan, which would see North Korea suspend its nuclear and ballistic missile tests in exchange for a halt to joint US-South Korea military drills. However, the US has rejected the proposal.